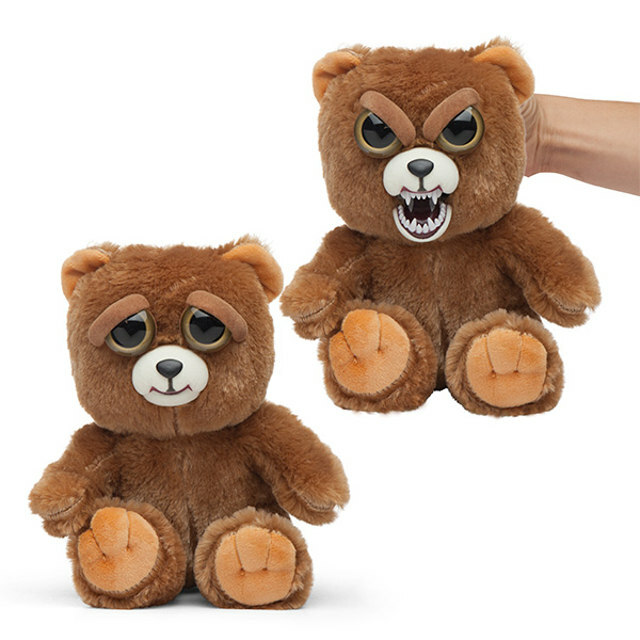 Feisty Pets Are The Perfect Gift For That Kid You Don't Like | OhGizmo! Does Your Small Business Have Tech Support? By David Ponce on 11/21/16 • Leave a comment! As far as we’re concerned, we’d be buying every child on the planet one of these, considering how little we think of kids in general. But we’re horrible human beings, so don’t pay too much attention. “These” are called Feisty Pets and they look like a normal, cute little plushie at first sight. But when you give them a hearty squeeze (as kids do), they instantly turn into nightmare material. It’s pretty amazing what a few fangs and frowny eyebrows can do to a face, but there you have it: instant children’s tears. They come in bear, cat, dog, or monkey variations, and cost all of $20. ← Does Your Small Business Have Tech Support?